Clockwise from Top Left: Sensational!, Pretty in Pink!, You Really Can Do It!, Successful Spring Blue and Orange Wedding, Stunning Roses & Carnations!, Made the Day! 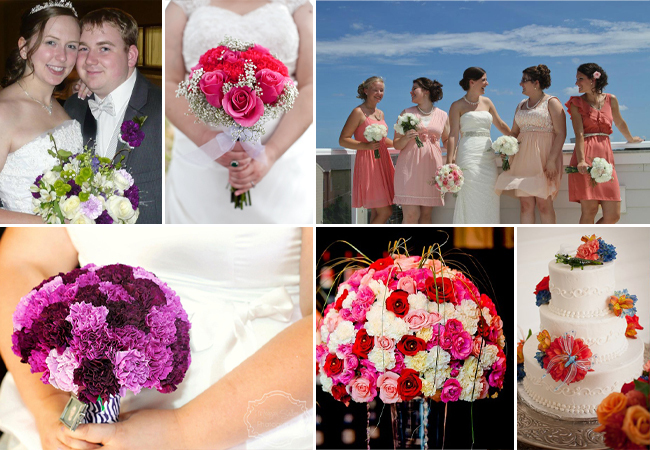 To see more FiftyFlowers Reviews and Testimonials that include Carnations, click here! Do you Love it?! I think it’s so sweet, and the Angel Vine adds the perfect finishing touch! You could create this bouquet in just about any color too! To see all the colors we have available, check out our Carnations here! Didn’t get enough Carnation Inspiration? Check out this DIY Display Board! It is the perfect compliment to this bouquet!